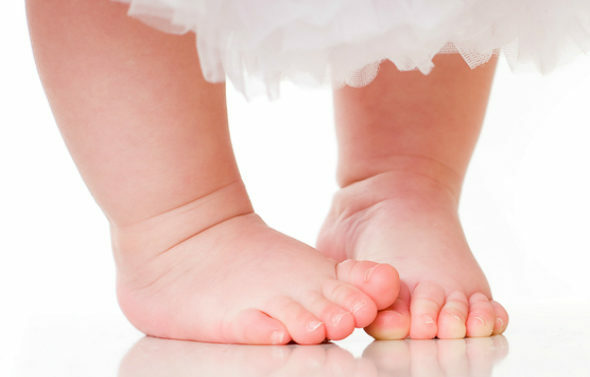 Poshoglian Podiatry has a strong history in caring for children with foot complaints. This may include treating growing pains, and to help correct abnormal foot posture at the early stages. Children are hard on their feet and have different assessment needs to adults. A critical time for foot assessment is when the child begins to walk and while they’re developing. Consulting before school shoes are worn for the first time is an important step for future good foot health and awareness. In toeing or 'pigeon toed' is when the feet turn inwards whilst walking. This is common in childhood and is usually out grown. However in toeing may cause falls and look awkward when walking or running. It's time to see Poshoglian Podiatry if in toeing does not improve with time, only affects one leg or affects activity participation. In toeing will greatly benefit from exercise and orthotic therapy. Toe walking is a condition where no weight is placed onto the heel whilst walking. It is commonly seen in toddlers and often occurs without cause. Toe walking continued into adulthood can lead to shortening of the calf muscle, postural issues and difficulty wear shoes. At Poshoglian Podiatry we provide treatment options dependent on the severity of the condition inculding stretching and orthotic therapy. Growing pains are pains in the leg muscles that occur during school years. The pain is usually coming from the muscles of the legs and feet as they are being stretched as the long bones grow. The combination of physical activity means muscles are left fatigued and overworked, causing pain at rest. It is important to distinguish growing pains from more severe conditions such as infection or arthritis. Our podiatrists can determine if underlying biomehcanical anomalis are conrtibuting to pain in order for children to be active and pain free.